The Intertext series has been specifically designed to meet the needs of contemporary English Language Studies. The core book, Working with Texts , is the foundation text which provides an introduction to language analysis. 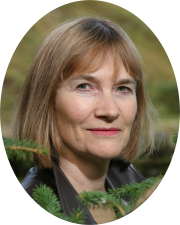 It is complemented by a range of 'satellite' titles which provide students with hands-on practical experience of textual analysis through special topics. They can be used individually or in conjunction with Working with Texts . a 'further resources' section with details of on-line newspapers and websites to visit. The Language of Newspapers is a textbook in the Intertexts series, exploring ways in which the press portrays current events. 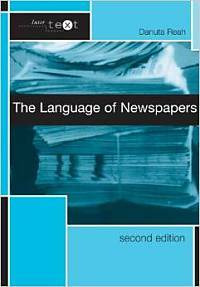 From the ideological bias of the press, to the rôle of headlines in newspaper articles and ways in which newspapers relate to their audience, the book provides a comprehensive analysis of newspaper language. Several controversial, thought-provoking issues are dealt with... In short, a clearly written, sometimes compelling introduction to the theory and practice of textual analysis of British newspapers. A well thought out route map which points students towards a deeper understanding of the way text can be transformed, manipulated, distorted, re-fashioned in written, oral and electronic means. Order The Language of Newspapers from Amazon. how the press decides who we love and who we hate. Monsters. Dragons, vampires, zombies, ghosts, incubi, succubi: creatures of myth, folklore and superstition. It’s easy to assume that in 21st century Britain, we have moved beyond the need to believe in monsters. But have we? A quick glance to the popular press will produce many examples of what looks suspiciously like monsters. Serial killers, paedophiles and terrorists are frequently depicted in terms that makes them closer to monsters that to human beings, and if we look more closely at examples of these modern ‘monsters’ in the press, the more these people look like the monsters of tradition. It is easy to assume that because these people did dreadful things, the depictions of them in the press are no more than truthful representations. Does it matter if people are depicted as monsters? In many cases, don’t their actions make them monsters? I believe it does matter, and in this article first published in emagazine (2013) 60, 53-55., I explain this by outlining one case of the creation of a monster, and look at the broader implications of this for our society.